COVER Performance view of Fallen Fruit’s ‘Fruit Cocktail,’ 2017, with Rianna Petrone in front of the duo’s art (Austin Young and David Allen Burns) art installation, ‘All Tomorrow’s Parties,’ at The Bunker, curated by Laura Dvorkin Maynard Monrow and Phillip Estlund West Palm Beach, Florida. commissioned by Beth Rudin DeWoody photo courtesy of Fallen Fruit. 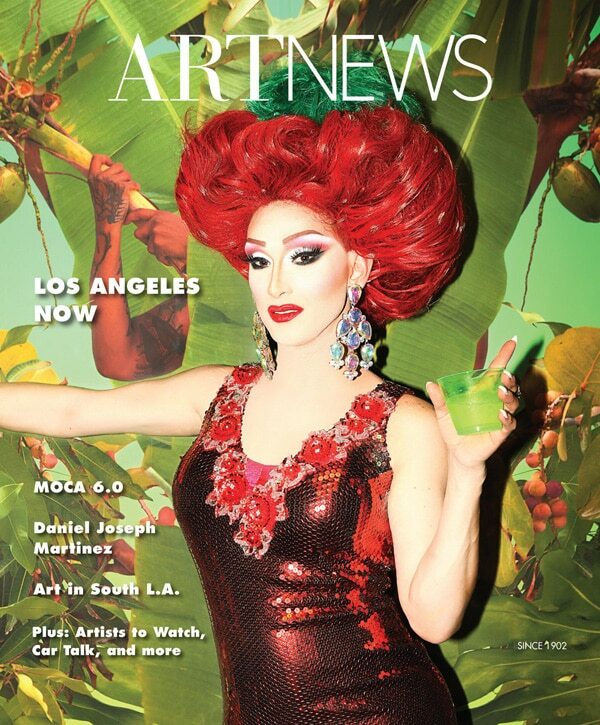 Thank you Art News, The Bunker, and thank you to everyone who participated in the performance of “Fruit Cocktail” Kataleya Davenport Dupree Ariel Rimm-Chanel and Rianna Petrone Our art installation ‘All Tomorrow’s Parties’ is on view at The Bunker. And Rianna’s genius strawberry Gibson hairdo!